These listings are courtesy listings to help people get started. The links take you to a 3rd party. Do not contact us if your harness doesn't fit properly or takes longer than you think it should take. Deal directly with the vendor. Around North Carolina, or around the world check-out Harnesses By Carol. 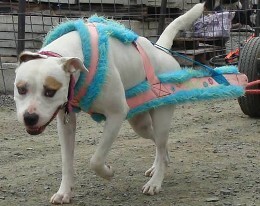 Carol Dodds (harnessesbycarol@gmail.com) makes weight pull harnesses and ships them worldwide. One supplier is Nordkyn Outfitters in the Pacific Northwest (they ship). They also sell sledding equipment and many other fittings for working dogs. 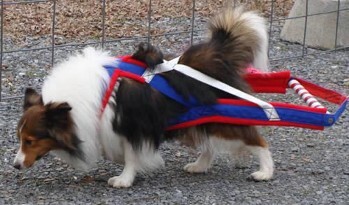 CDPITS is A great resource for Weight Pull Harnesses and Training Instructions. Custom Weight Pull and walking/working harnesses. Local & International shipping. In Region 5, John Aiken (mizzo@remsencsd.org) makes terrific drag sleds. 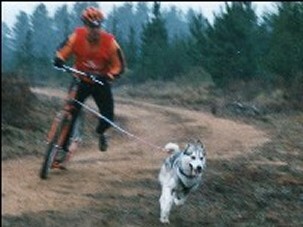 For training, a cart or scooter is useful. Equipment to put on a weight pull is usually homemade. Built the cart for the 96/97 Championships. Does good work and is very meticulous.